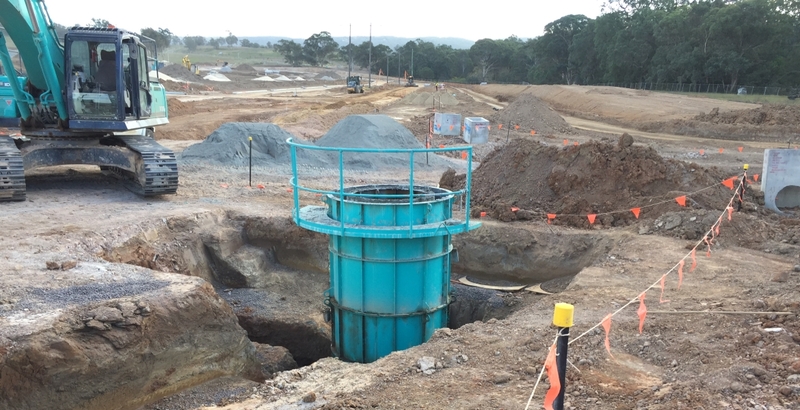 A close working relationship with JK Williams saw Jonishan awarded the contract to supply & install wastewater IOP’s and Pump Well at Yeomans Estate in North Richmond. 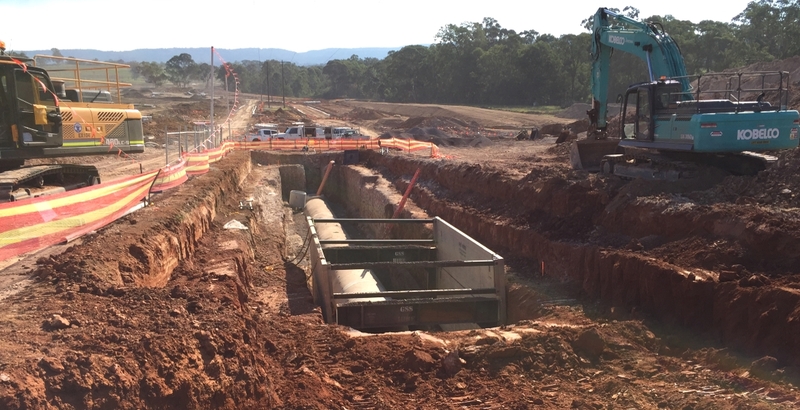 The project included bulk earthworks and installation of the IOP and Pump Well including testing and assistance with commissioning, associated rising and gravity sewer mains, input diversion structures, output connection to existing reticulation and provision for gravity overflow. 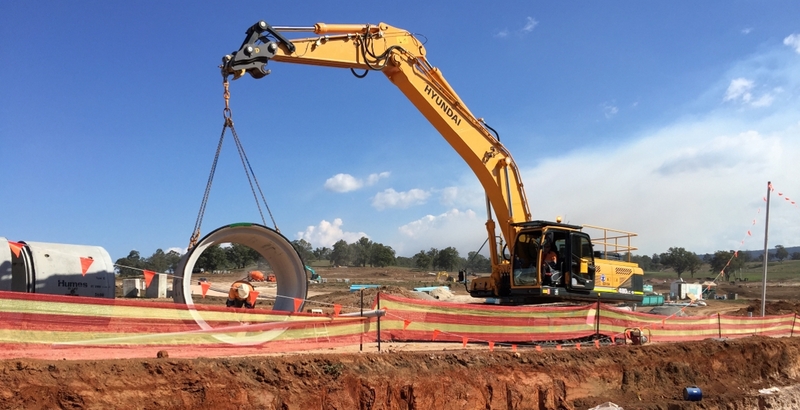 Wastewater IOP & Pump Wet Well supply & installation included 8 x chambers DN1800/1200/1050 from 1.2 – 7.0m depth plus AKS lining where required. A DN2100 Humeceptor Reservault 40m long approx. 6m depth with twin DN1050 access risers and stainless steel ladder access. A DN1800 Flyght Packaged Pump Station approx. 7m depth with internal valve chamber and 2 x Flyght Adaptive N Type submersible pumps, monitoring and control equipment and odour filter with remote monitoring site. A level 2 electrical connect from kiosk to power supply network was installed. 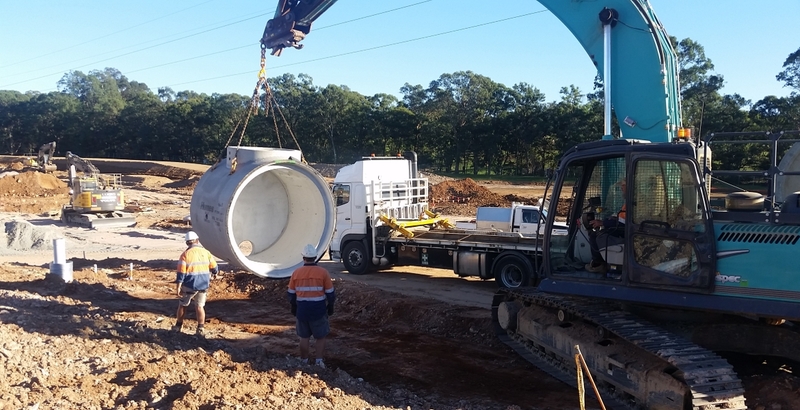 Supporting structures contructed by Jonishan were a 25m potable watermain DN50 including connection, PRZD and hydrant. 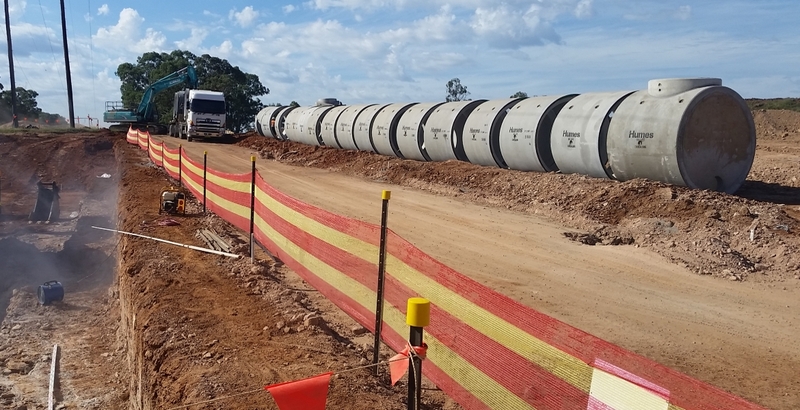 Also a 630m gravity sewermain using DN225/300 PVC, a 70m rising sewermain from DN110 PE and 55m of ventilation lines of DN150 PVC were installed.